What does 2018 hold for the world? That may be difficult to predict, but what 2018 holds for 3D printing is a bit easier to grasp since we’ve reached out to a number of experts in the industry to get their input on what 2018 looks like for 3D printing. Scott Sevcik, VP of Manufacturing Solutions at Stratasys, echoed this point, with a specific emphasis on aerospace. "Looking into 2018, we'll definitely see the acceleration of production part adoption in aerospace. Major OEMs have already industrialized FDM for interior applications - and this adoption is expanding both upstream and downstream," Sevcik said. "This is seen as suppliers expand use of 3D printing for efficient, low volume and custom production - and as airlines and MROs leverage the technology for supply chain flexibility. You can already see that standards are currently being developed for industry-leading technologies and fused deposition modeling (FDM), while new simulation and analysis tools are coming online to aid designers in additive designs. As the year progresses, we'll see low-volume automotive catching up to aerospace with more and more parts in vehicles as well as broad adoption for Rapid Tooling on the automotive factory floor." Greg Mark, CEO of Markforged, reinforced the practical application of 3D printing technology, emphasizing its shift away from prototyping and towards end-use parts. In other words, the hype associated with 3D printing over the past few years is now coming to fruition. Markforged is known both for its carbon fiber and metal 3D printing technology. Duann Scott, responsible for Business Development and Strategy for Additive Manufacturing at Autodesk, saw major trends in design occurring next year. "In 2018, we will start to see people really understand that design for additive manufacturing is key to it transforming from a very small part of manufacturing, to a substantial part of the economy," Scott said. "Comparing an existing traditionally manufactured part to an AM replica is rarely going to be a financial win, but consolidating an entire assembly into a single AM part can massively reduce the manufacturing cost, completely compress the supply chain and improve the performance within a single design change. Once engineers (and their managers) start to realize this in the year ahead, we expect to see massive investment in design for AM." An important contribution to improvements in design for 3D printing may be entirely new design processes, such as generative design. This makes it possible to enter specific parameters for a part, such as reduced weight, and allow software to alter a part's topology to meet those requirements automatically. "We can speed up this education process through Generative Design software, where we take a sub-assembly out of an existing design, define the constraints and engineering requirements, and let the Generative Design tool help the engineer explore potential solutions to replace the sub-assembly with a single part," Scott said. As mentioned in the introduction, metal 3D printing is developing rapidly, both in terms of lowering costs and increased adoption. Bart Van der Schueren, chief technology officer of Materialise, a 3D printing service provider and software developer, echoed as much in a statement to ENGINEERING.com. Metal 3D printing will see improvement both in terms of new technologies, as well as improvements to established ones. 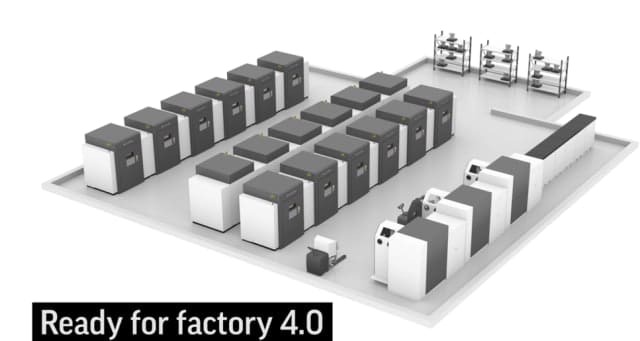 For instance, 3D Systems recently announced the expansion of its metal 3D printing line with a large, more automated system. 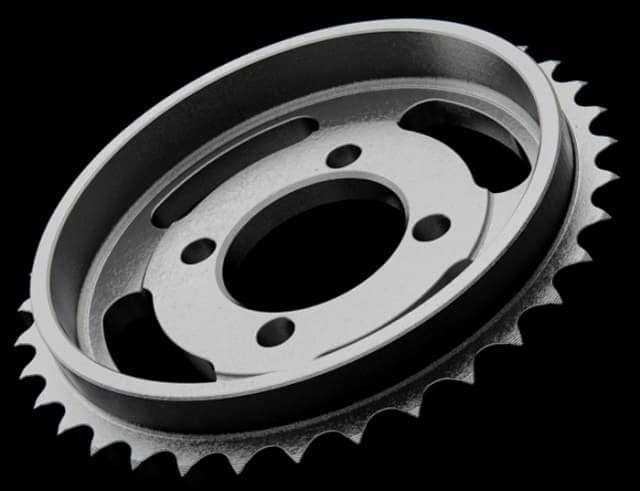 Markforged, on the other hand, is one of the innovators that is introducing new metal 3D printing processes, having released a technology capable of producing metal, 3D-printed parts with greater ease of use at a lower cost than previously possible. The Metal X 3D printer prints rods of metal powder bound together with thermoplastic, creating parts in a method similar to fused deposition modeling. The binding material of the “green” part is then washed away before the subsequent “brown” part is placed into a sintering furnace to create a nearly fully dense metal part. While companies like Markforged are aiming to make metal 3D printing less expensive and more user-friendly through the development of new metal 3D printing processes, Oak Ridge National Laboratory (ORNL) is improving existing metal 3D printing techniques in a variety of ways. The lab is also aiming to blow up the process to even larger scales. The lab’s Manufacturing Demonstration Facility (MDF) is a leader in early-stage research of new 3D printing technologies—most notably the large-scale Big Area Additive Manufacturing (BAAM) carbon fiber-polymer 3D printer—and it has already begun work on metal. The MDF’s representatives told ENGINEERING.com that, in 2018, the lab will focus on developing “large-scale metal manufacturing through modeling, simulation, characterization and residual stress” in 2018. “Research will increase process scale and deposition rates, making new tailored materials available and applying data-driven analysis for part qualification and certification,” the lab relayed. 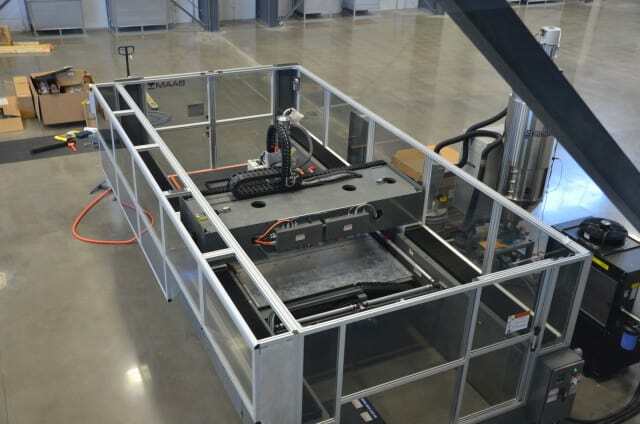 In particular, the MDF will be improving the qualification and certification of additively manufactured metal parts through a new process “for automated, artificial intelligence–based analysis of images collected real time during the ongoing 3D printing process, creating the ability to detect and record defects,” according to representatives of ORNL. Such an approach may be key for the adoption of metal AM, which suffers from repeatability and quality control issues. Binder jet metal 3D printing, in which metal powders are bound and then sintered and infiltrated with additional metal, is another focus of ORNL for 2018. The lab is exploring how the technology can be used for 3D printing injection molds and forging dies with “conformal cooling channels to reduce production cycle times.” Metal 3D printing is already used for such purposes by at least one company, PROTIQ. Scott, from Autodesk, believes that, while metal AM will continue to mature, it will not be fully mature next year. "2017 was the year that metal AM started to grow from being a child with potential, to an awkward adolescent finding its place in the world, but 2018 will NOT be the year that AM becomes a fully functioning adult fending entirely for itself, there will still be considerable growing pains as AM matures," Scott said. Scott pointed to the issues that manufacturers may face when scaling up the production of 3D printing equipment. "Sales of metal AM machines grew from 1-5 per order up to 40-70. Build sizes went from the size of a bread box to the size of a refrigerator. The materials palette expanded with both startups, and major materials companies entering the AM space with new material formulation. And the software ecosystem became broader and deeper with the entrance of optimization, generative design and simulation tools specifically for AM," Scott explained. "This growth may very well increase due to pull from potential customers, but hardware companies will need to learn scale from making hundreds, to thousands of machines per year, material companies will need to start dealing with bulk logistics, and software companies will have an ever-increasing number of machine and material combinations to optimize and simulate for. While the potential for great growth is there, the entire industry may experience growing pains as it matures." Software, however, will help empower these metal technologies further, according to Scott. "I think we will see a continuation of bigger and faster on the 3D print hardware side, and a continued focus on Generative Design and Simulation on the software side in 2018. The promise of increased build size from GE's Atlas System, Adira’s Tiled Laser Melting and a number of robot directed energy deposition (DED) cells coming onto the market sets us up for bigger parts. Examples of faster additive include Desktop Metal’s Production System which is claiming speeds 100x that of laser based metal systems and Spee3D Super Sonic Metal Cold Spray process is allowing fast production of near-net shaped parts Simulation is likely to become essential to the AM workflow for all metal systems, while Generative Design will help engineers understand how to design for the freedom and constraints inherent in each AM technology," Scott said. While metals have been waiting for a much-needed boost in 3D printing, plastics are also evolving along with the technology. There are also new materials being developed, specifically ceramics. David Sher, CEO and founder of 3D Printing Business Media and senior analyst at SmarTech Markets Publishing, emphasized the growth of materials in 3D printing. “For thermopolymer 3D printing, there will be a huge growth in the availability of PEEK 3D printing capabilities. Benchtop SLS will begin to offer viable solutions, with four to five different players,” Sher said. Specifically at Smartech, Sher plans to focus on several new trends: aluminum alloys AM, growth in automotive AM for part production, precious metal AM, ceramics AM evolution and expansion of advanced thermopolymer (PEEK, PAEK, PEKK and PEI) 3D printing capabilities. ORNL will also be expanding the material capabilities of the BAAM 3D printer. The lab is now working with the machine’s manufacturer, Cincinnati Incorporated, to modify the BAAM to deposit multiple materials simultaneously. This enables improved functionality for tools, molds and dies, as well as other products. ORNL is also developing closed-loop control for the BAAM and large-scale metal 3D printers, which could usher in an era of fully automated 3D printing. Other advances include printing with continuous fibers, such as carbon fiber, and multi-material 3D printing, such as the combination of foams with fully-dense base materials. Sher said he also believes “construction 3D printing will make a big jump in terms of adoption.” While we’ve seen a number of projects produce technology demonstrations, very few firms have 3D-printed usable structures. There are a couple of exceptions, in particular the Office of the Future in Dubai. AM has traditionally been slow and costly. However, new technologies are making the technology much faster, potentially reducing the cost per part by increasing the throughput of 3D printing. Carbon and 3D Systems have developed polymer processes for 3D printing plastic parts at a much faster rate. Both processes rely on a form of digital light processing (DLP) in which light is cast at a vat of resin that, due to the use of special membranes, makes it possible to create layer less, isotropic parts much more quickly than traditionally possible. Dunne believes that the speed of 3D printing processes will increase throughout 2018. “From a hardware perspective, printers across the industry continue to get faster and faster; and the time to prototype and time to production will present new economic efficiencies and benefits for small businesses and enterprises alike,” Dunne said. Hardware will also be key for automation. Both 3D Systems and Carbon are developing methods for automating the aforementioned continuous-DLP approaches. 3D Systems, for instance, has demonstrated its Figure 4 system utilizing industrial robotic arms to move parts autonomously from each station in the printing process, removing completed parts from the print bed, loading them into a UV curing station for further strengthening and then placing them into a part washer. Finally, parts can then be automatically inspected in a final qualification station. 3D Systems is also working on developing an automated approach to its metal 3D printing technology, in which metal powder can be automatically loaded into a machine and parts can be automatically removed from the printer and post-processed. Other companies working on similar approaches are Concept Laser, a GE Additive subsidiary, and Additive Industries. "Our launch of innovative 3D Demonstrators this past year certainly reinforces this emerging trend of next-gen automation. This year will also see a specialized solution for producing incredibly repeatable mechanical properties of aerospace interior and other production applications. There's also new material offerings to meet the specific properties demanded by high-value applications - and advanced approaches for delivering specialized materials—such as the multi-axis Robotic Composite system for creating optimized composite parts." One vision of the future offered by 3D printing was that of mass customization, in which large runs of customer-specific products would be manufactured at once. Dunne believes that such a process is slowly coming to fruition. Dunne reflected that, in 2018, 3D printing will continue down its trajectory of benefitting designers and engineers with optimized designs and consolidated products that meet stringent industrial requirements. In particular, he emphasized how the technology’s foundation in design verification and, later, low-volume production, patient- and customer-specific products and “mass-complex manufacturing” will influence how it is used in the future. From a holistic perspective, 2017 was a mixed bag. There were extremely negative things that took place. For instance, history’s first game-show host president took the reins of the most powerful nation in the world only to flaunt that status in some of the mostegregious ways possible. Another one of the hottest years on record occurred, exaggerating the effects of wildfires and hurricanes and leading scientists to warn that we have just 32 years left before irreversible damage is done to the climate. There are humanitarian crises occurring in Syria, Yemen, South Sudan, Myanmar, the Democratic Republic of Congo, Somalia, Nigeria and Palestine. There were positive events, too: Australia legalized gay marriage; powerful men were finally held accountable for years of sexual assault and harassment; Chelsea Manning was able to take her first steps as a free woman after seven years of military imprisonment; and my wife and I had a baby. From a 3D printing perspective, the developments may be construed as more positive. In particular, a slew of new metal 3D printing technologies were unveiled, including the Metal X 3D printer from Markforged, two new processes from Desktop Metal, a cheaper metal 3D printer from Xact Metal and a faster metal 3D printer from SPEE3D. 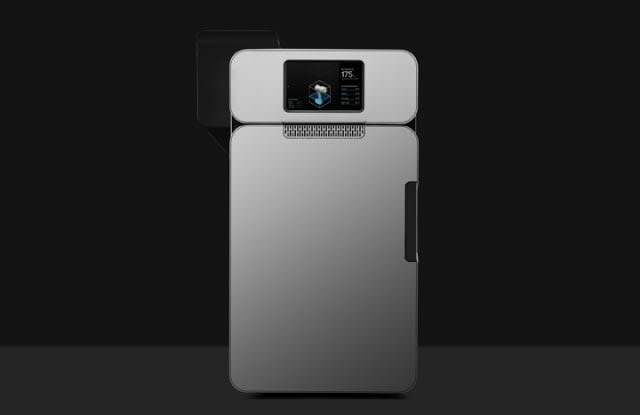 Formlabs introduced a desktop selective laser sintering (SLS) system, while Carbon introduced a new 3D printer and part-washing package. 3D Systems’ new CEO began implementing his vision for the company, while HP saw its Multi Jet Fusion make its way into the marketplace. We also can’t forget the impact that GE Additive has had on the industry. Whereas 2014 signaled the bursting of a hype bubble, specifically for consumer 3D printing, 2018 seems to point towards the realization of many of 3D printing’s promises. We may still be far off from the fully-automated construction of energy-efficient homes (we’ve only got 32 years left to pull that off), but the foundation for such a future is now actually visible and will become that much more visible in 2018. The technological world may be evolving at a tremendous pace, but it does so in a world that is mired in other important developments, some extremely negative and some positive. In some ways, this evolution may even be contributing to both sides of this coin. For instance, weapons manufacturing is clearly playing a role in the humanitarian crises mentioned above, and many of the largest technological innovators (think of all of the petroleum needed to make 3D printable plastics) also contribute to global warming. The Internet, on the other hand, is helping spread information at an increased rate, allowing humanity to understand its environment more thoroughly, more quickly. If 3D printing follows the path laid out by our experts, we must also understand the path within the context of sociological, economic and political structures. This path may be good for advancing AM technology, but will it be good for the humans that it’s meant to serve? Will automation, for example, allow workers to increase productivity while working less, or will managers simply use automation as an excuse to increase their workload? Will increased productivity mean more waste and more fossil fuel energy expended at the expense of our ecosystem? Good or bad, 2018 is a new year, one in which, if we are going to pursue technological development, we should use that technology for good.